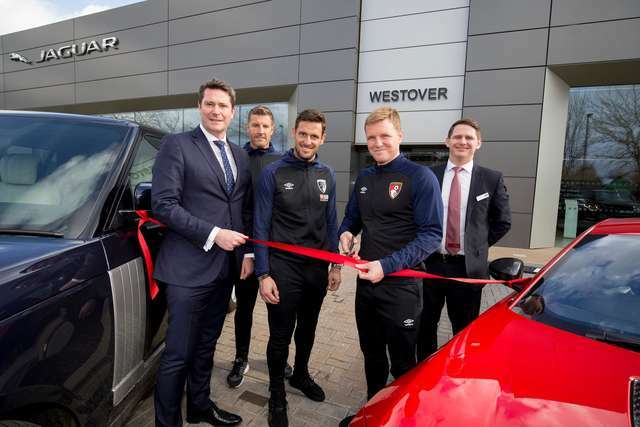 AFC Bournemouth players and staff were on hand to officially open Westover Group's new £15million Jaguar Land Rover showroom in Christchurch. 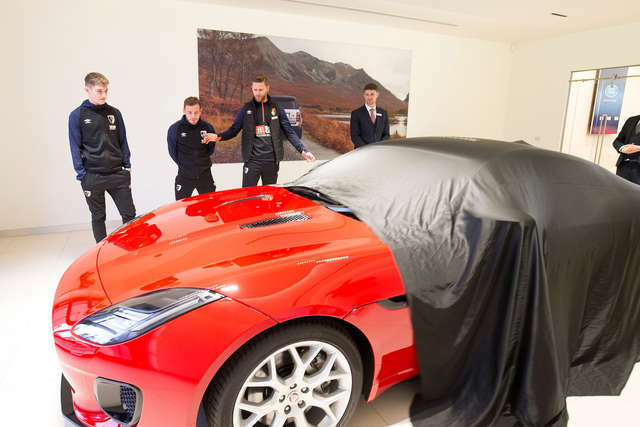 Simon Francis, David Brooks and Ryan Fraser, together with Eddie Howe, Jason Tindall and Steve Fletcher visited Westover Jaguar Land Rover on Bailey Drive, Christchurch, to cut the ribbon to officially mark the opening. 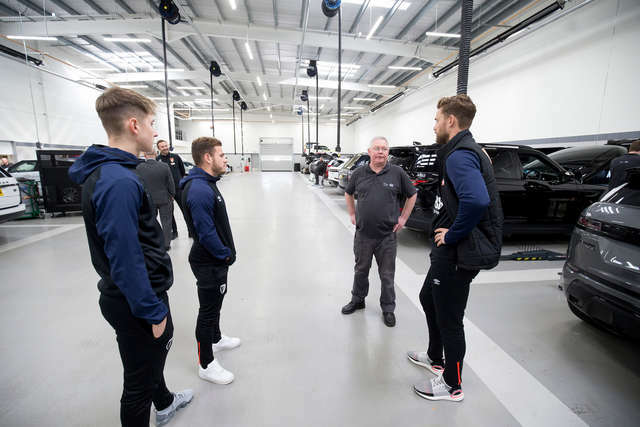 The players were also treated to a special tour of the new facility and meet some of the 100-strong team at the showroom. 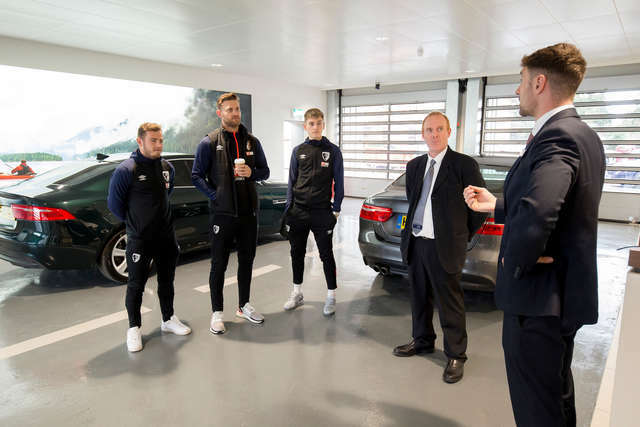 Andy Grant, brand director for Westover Jaguar Land Rover, said: "We were delighted to welcome some of AFC Bournemouth's players and staff to the showroom and thank them for marking this significant opening with a ribbon cutting. 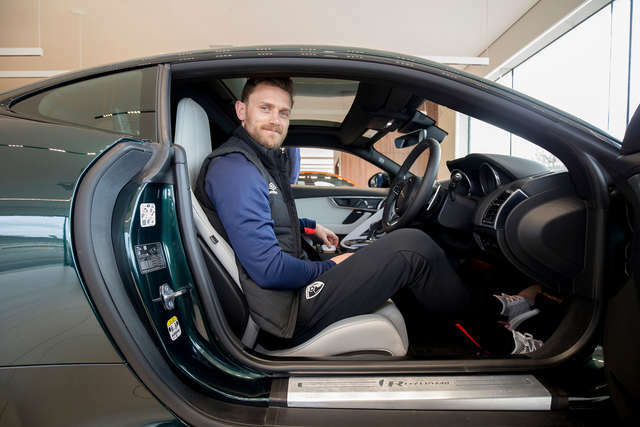 "We're proud to represent Jaguar Land Rover in Dorset and when our customers enter our new facility, they can expect a luxurious experience which is second to none. 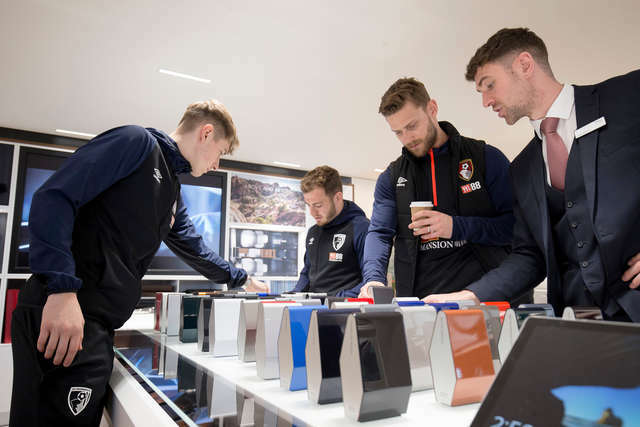 We have made every effort to ensure the customer journey is as smooth as possible, with beautifully designed lighting and generous viewing areas." 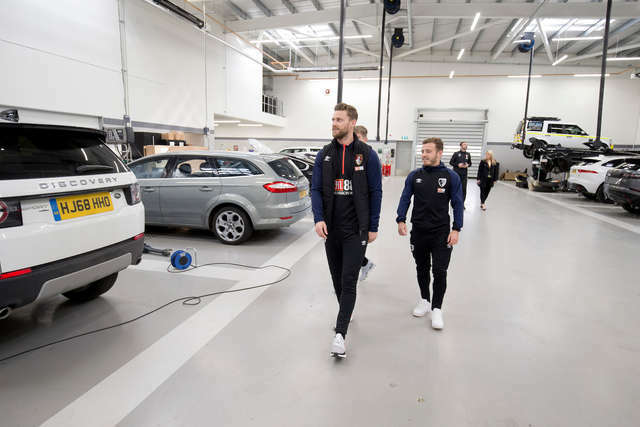 The dual-branded facility offers an ideal destination for both current and prospective Jaguar Land Rover customers. 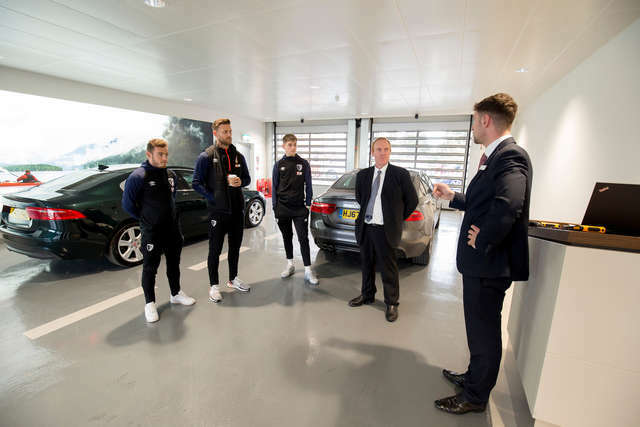 The stunning facility also accommodates more than 100 approved used cars as well as a complete line up of new vehicles in a light and spacious environment. 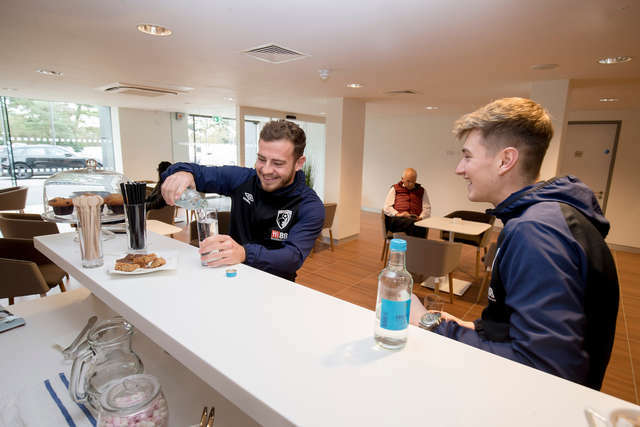 Other facilities include a complimentary barista bar, electric vehicle charging points, relaxed customer seating areas with free Wi-Fi, interactive colour and trim display, brand heritage and merchandise area and dedicated areas for vehicle handover as well as improved easy-access parking. 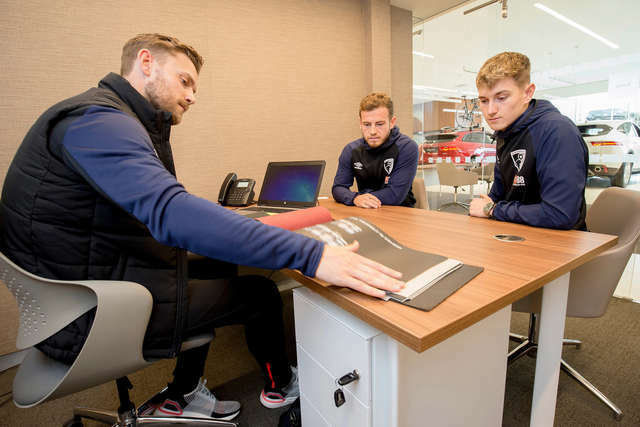 Rob Mitchell, commercial director at AFC Bournemouth added: "Our players and management were extremely impressed with the state-of-the-art showroom. 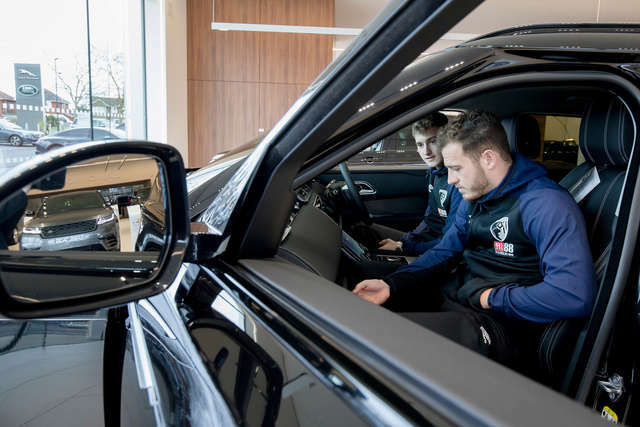 AFC Bournemouth has recently confirmed a two-year partnership with the group to become the club's official motor partner, and we were delighted to celebrate this opening with the group." 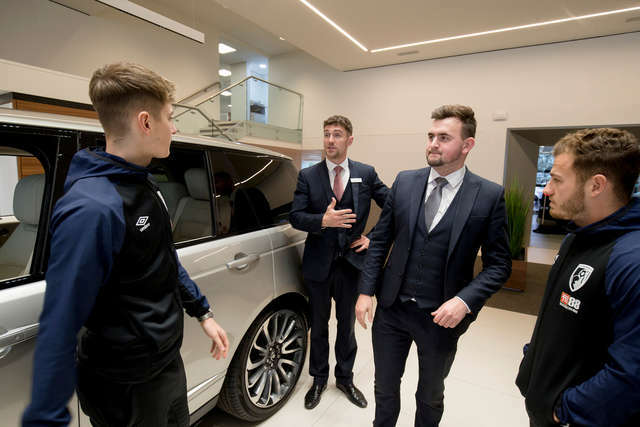 Paul Dillon, managing director for Westover Group, commented: "The opening of the Jaguar Land Rover DUAL Arch facility is a momentous one for the Westover Group and as AFC Bournemouth's official motor partner for the next two seasons, it is fantastic that some of the club's players and management were able to join us and help celebrate the launch of our showroom. 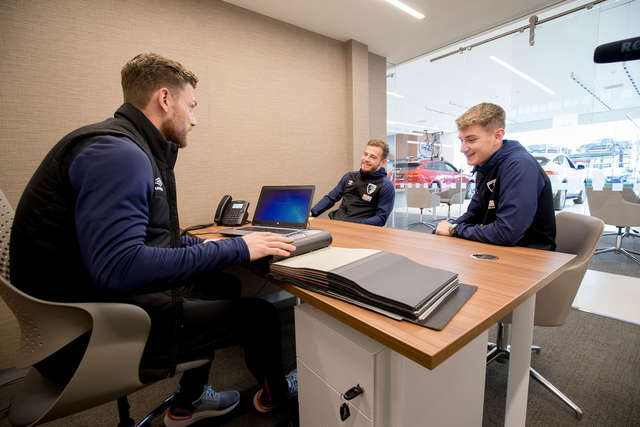 "We are continually working round the clock to find ways of improving and reinvesting into the group to ensure that every customer is always at the forefront of everything we do." 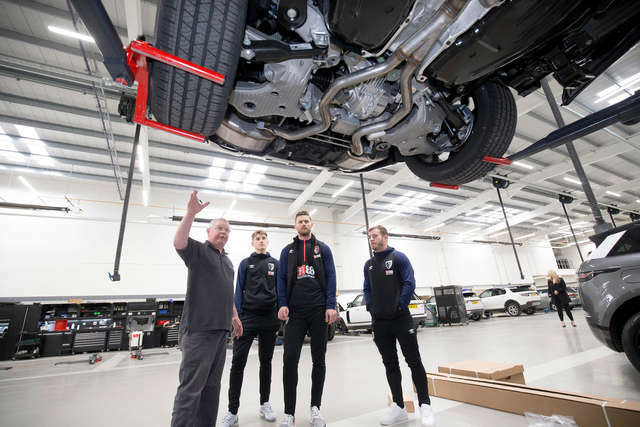 Established in 1923, the Westover Group operates from 28 locations across Dorset and Wiltshire and represents 15 vehicle manufacturers - Abarth, Alfa Romeo, Dacia, Fiat, Hyundai, Jaguar, Jeep, Kia, Land Rover, Lexus, Lotus, Nissan, Renault, Skoda and Toyota.